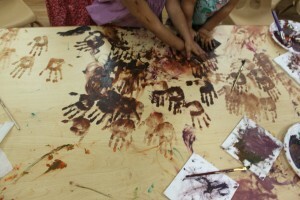 KIDDIELAND ECE is inspired by Reggio Emilia Schools, an Italian revolutionary way of teaching. The rationale for pursuing Reggio elements is to provide children with rich learning experiences and support programs to strengthen families. The Reggio approach, moreover, invites and encourages all adults, involved teachers, administrators, and parents to be thinkers, communicators, creators, collaborators, problem solvers, and negotiators as they become more thoughtful and reflective. • Relationships as the Foundations of the System. Education focuses on each child, not considered separate but in relationship with the family, other children, the teachers, the environment of the school, the community, and wider society. • The Role of Parents. 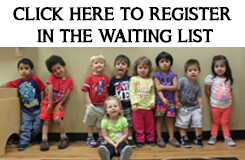 Parents are considered to be an essential component of the program. They are a knowledgeable and active part of the children’s learning environment. • The Environment. In Reggio, this refers to the way the physical space is dressed up, lived in, defined, and refined over time. Kiddieland pays special attention to the design and aesthetics of the space. The life of the school and the work of the children are made visible and legible through documentation displayed on the walls. The environment is called the 3rd teacher, because children can pursue interests and explorations with or without the interaction or direction of the teacher. This occurs when the environment supports the work and the interests of the children. • Teachers. The role of the teacher is that of observer, explorer, listener, documenter, and they should easily adapt to changes. Teachers need to be open to possibilities; sometimes we see only what we are prepared to see. Teachers serve as researchers and collaborators in the learning environment. They often meet to discuss their observations and interpretations of children’s work. • Pedagogy. A curriculum based on the expressed interests of the children shows value for their capabilities. Along with adult’s insights, the diverse materials within the environment support emergent literacy and numeracy.